Here’s who to watch in this upcoming political season. New Orleans’ next municipal election primary will take place on Feb. 1, with a March 15 run-off, if necessary. This election includes all of the city’s most powerful and influential seats, including New Orleans Mayor, all seven city-council seats, New Orleans Sheriff, Clerk of Court and a host of other elected positions. Three short months ago, politically astute locals considered the upcoming election cycle to be a “status-quo” election, expecting not many newcomers to any of the races and the certain re-election of New Orleans Mayor Mitch Landrieu. Most prognosticators are still betting on the re-election of Mayor Landrieu, but there have been some new faces to the political circuit that warrant further discussion. Jason Williams has entered the race to fill one of the city’s two at-large city council seats. 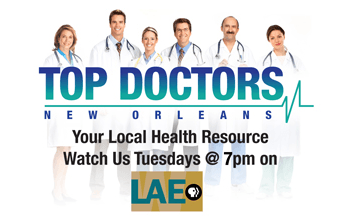 Williams is a New Orleans native who earned his law degree from Tulane University and was inducted into the prestigious Order of Barristers, based on his excellence in the area of courtroom advocacy, during his time at Tulane. Williams will be running on a platform of fixing the city’s blight problems, enhancing the city’s business perception and fixing the city’s aging infrastructure. As a criminal-defense attorney, his core focus (if elected to the council) will focus on youth development and programming to mitigate the number of young people entering our criminal justice system every year. At age 41, Williams believes he represents the new youthful vigor that constituents are embracing and that he can bring the energy needed to the office to ensure it performs at the high level that citizens deserve. Though only 41, this will be Williams’ second time seeking political office. He ran unsuccessfully for New Orleans District Attorney in 2008. New Orleans native Jared Brossett officially entered the race for the City Council District D seat on Nov. 7, with a campaign announcement at the historic Dookey Chase’s Restaurant. (Term-limited Councilmember Cynthia Hedge-Morrell will soon vacate the District D seat.) Though Brossett’s entry into the race was not a big surprise to those in political circles, at the age of 31, he certainly represents the youthful vanguards that this column is intended to spotlight. 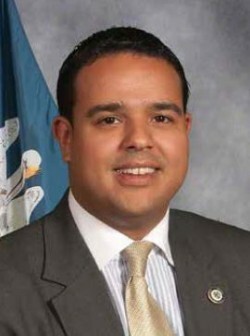 Brossett attended McDonogh 35 Senior High School and graduated from Xavier University (where he earned his BA in Political Science). Though youthful, he is not short on experience. He has held every position in a functioning city-council office from constituent services to Chief of Staff for District D under former Councilmember Marlin Gusman and Councilmember Hedge-Morrell. Brossett has represented District 97 in the Louisiana Legislature for four years—a district that encompasses Gentilly and much of District D for the New Orleans City Council. In the state legislature, Brossett’s committee assignments include appropriations, house and governmental affairs, municipal, parochial and cultural affairs, budget, homeland security and chairman of the Hurricane Recovery Committee. Brossett’s endorsers include Mayor Mitch Landrieu, Councilmember Hedge-Morrell, Assessor Errol Williams and a host of other political, community and business influencers. We do not endorse candidates through this platform, but we do encourage all citizens to avail themselves to the process. So, please get out and vote.